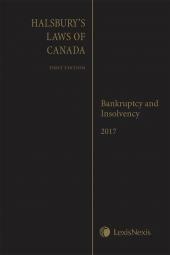 The Report provides in-depth news and analysis of asbestos bankruptcy law and the progress of bankrupt asbestos companies through the ever-evolving Chapter 11 process. 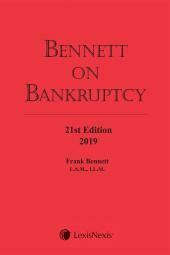 Topics include insurance issues, impacts on settlements, how asbestos bankruptcies are affecting the landscape of the litigation and which companies may be forced to file for Chapter 11 protection in the future. Published monthly. 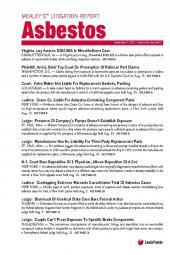 The Report features unbiased news stories, case summaries, attorney listings, and the full text of court documents. Subscribers also receive expert commentary articles. This report is also exclusively available online at www.lexis.com. Subscribe to this report or to the broader Mealey practice area. The online version includes case summaries, expert commentaries and electronic files of court documents. Contact your LexisNexis sales representative for details.